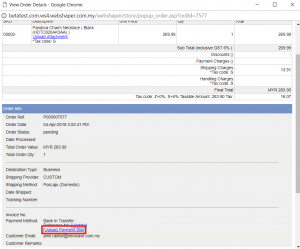 Home / Payment / How Do Customers Upload Offline Payment Slip? After your customer have purchased products and pay using offline payment, they have to upload the payment slip as a payment proof. 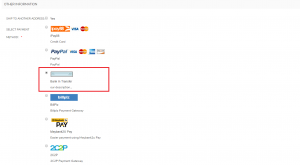 This tutorial steps starts with after customer have selected their product the and ready to proceed to payment section. 1. On Other Information section, your customer will select Bank In Transfer as their payment method. 2. Then, select their Shipping Option. 3. Check all the details on Summary page. 4. Click to confirm your purchase after they have read the terms and conditions. 5. 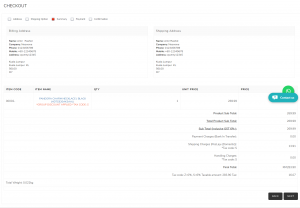 Customers are successfully checkout from your webShaper store. 6. For your customer to upload their payment slip, click on Account. 7. Click View Previous Order. 8. On Your Account Area section, your customer have to go to their previous order. 10. On View Order Details page, scroll down and click Upload Payment Slip. 11. Click Choose File to choose file from desktop and then Upload. 12. File will successfully uploaded and then click Close. 13. 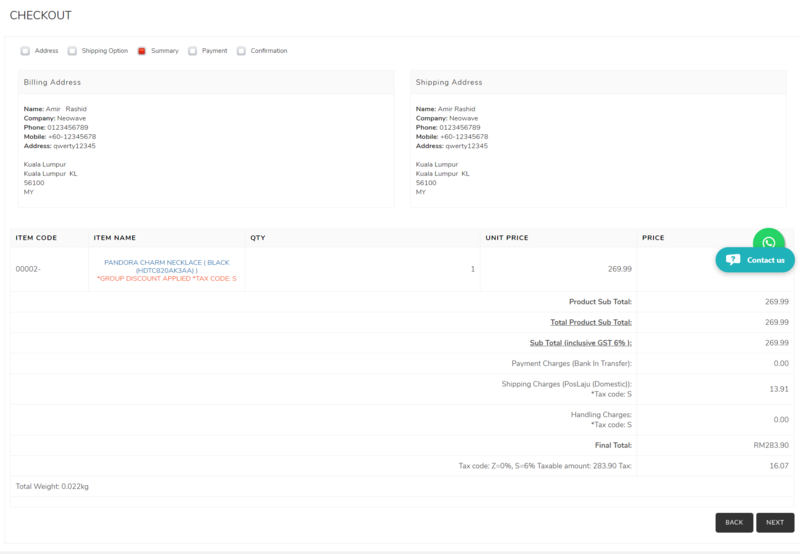 To check your customers upload payment slip, go to Orders > View Orders. 14. Go to their Order Ref and click on the Bank In Transfer icon. 15. 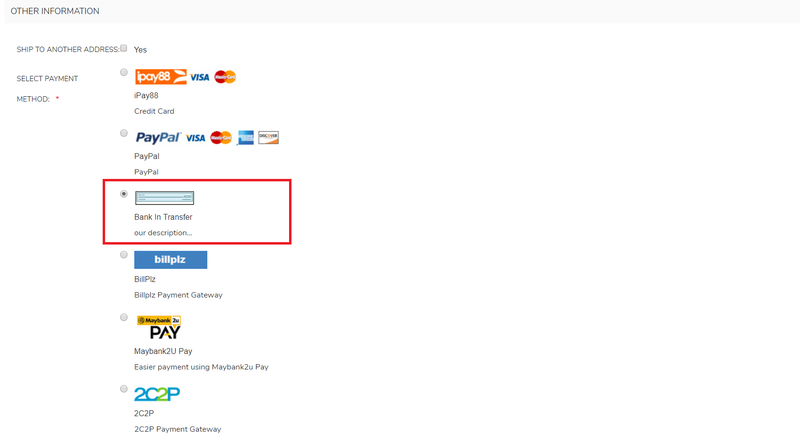 Go to Order Info section, and find Payment Method. 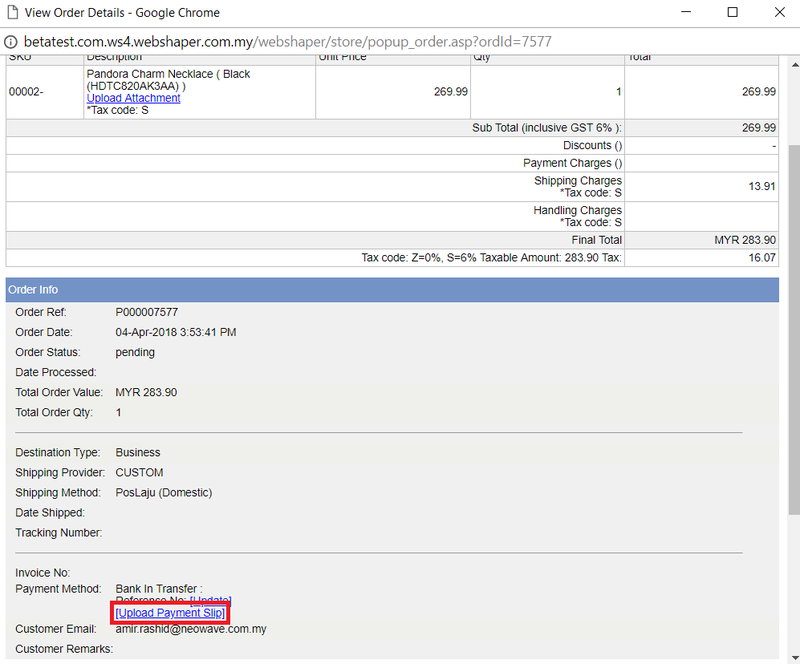 Click on the URL and you can view the customer uploaded payment slip.